Wow! 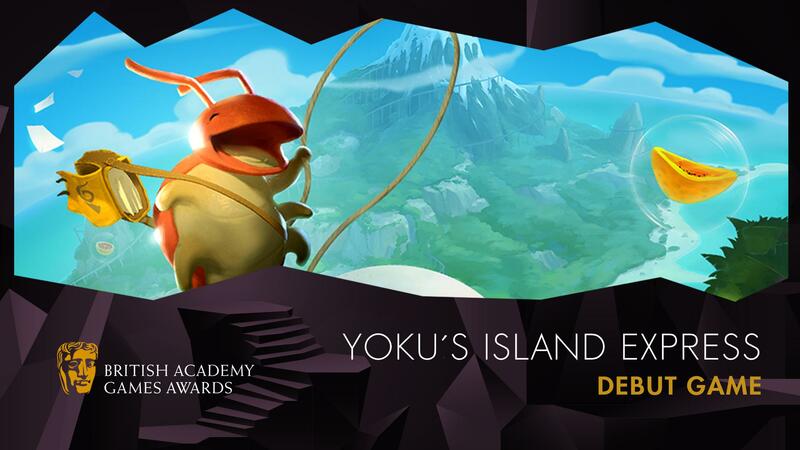 Yoku’s Island Express – the pinball metroidvania about a dung beetle postman – has gone and won itself a BAFTA for Best Debut Game! On Thursday 4th April 2019, the prestigious BAFTA Games Awards were held in London, England and Team17 was in attendance to congratulate our talented peers and celebrate nominations for both Yoku’s Island Express and Overcooked! 2. Just to be nominated for a BAFTA award is a huge honour, but to win one is simply incredible. We’re sure it’s a moment that the Yoku creators at Villa Gorilla will remember for the rest of their lives. This small development team poured their hearts and souls into Yoku’s Island Express to make it not just an original and innovative new game but also one that players all over the world could feel a special connection to. Check out the acceptance speech below. It’s fair to say that Villa Gorilla’s Jens Andersson and Linus Larsson were more than a little surprised to win! Team17 would like to extend a huge congratulations to Jens, Linus, Mattias Snygg and the rest of the development team on this landmark achievement, and we’d also like to thank the fans, games journalists and content creators who have played and championed Yoku’s Island Express over the past year. Your enthusiasm has been vital in spreading the word about our little dung beetle friend and his mission to save the world with the power of pinball! If you’re yet to sample the delights of BAFTA award-winning “pinballvania” then don’t forget there’s a free demo available now on Nintendo Switch, PlayStation 4, Steam and Xbox One! The PC version is also currently on sale for 50% off on both Steam and GOG.com! Want to find out more about Yoku’s Island Express? Follow us on Facebook or Twitter, chat to us on Discord or subscribe to the Team17 newsletter. To hear about the development of Yoku’s Island Express and learn more about who Villa Gorilla are, check out our podcast interview!